Dora A. 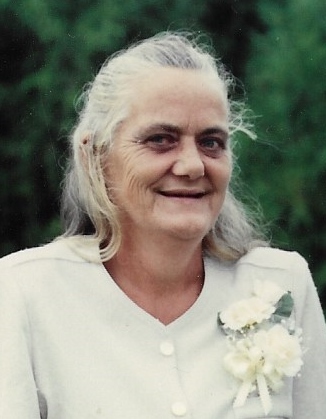 Hunt, 83, of Paoli, passed away February , 2019 at Paoli Health & Living Community. She was born April 17, 1935 in Paoli, to parents, Ottis & Elnora (Mathis) Britton. She was retired from Foam Craft formerly of Paoli. Survivors include: daughters- Becky Fields of Paoli & Dolly Ann Allen & husband, Donnie of Marengo; sons- Kevin L. Hunt & wife, Rachel of Martinsville, Clyde Hunt & wife Susan of Paoli & Kenneth L. Hunt Jr. of Ramsey; brother- Bobby Lee Britton of Campbellsburg; 25 grandchildren & 20 great grandchildren. She is preceded in death by: parents, son- Larry Franklin Hunt; sister- Ruby Barnett; brothers- Cleo Britton, Everett Britton & Ray Dole Britton & grandchild- Daniel Allen. Visitation will be from 10am-1pm Wednesday, February 6 at McAdams Mortuary. Funeral will follow at 1pm at the funeral home. Bro. Harvey McAdams will officiate. Burial will be in Oak Grove Cemetery, Hardinsburg.